Home > Free Samples Australia > Beauty Freebies & Free Samples > FREE Libra School Resource Kit!! Help young girls get ahead of their periods with this awesome kit. Order now free Libra Girl School Resource Kits for girls just starting their period. Click go to offer and fill the form with your details. 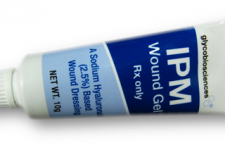 Claim FREE Wound Gel Bio Sample! !